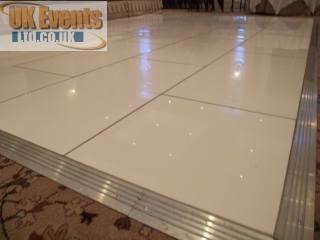 Black and White Dance Floor In Blackburn. 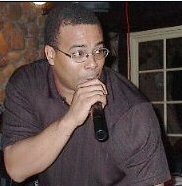 Disco's and Dance Floors in Blackburn. 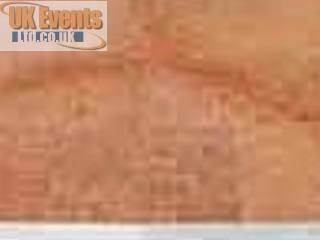 Here at UK Events Ltd we specialise in hiring out a large range of various dance floors, LED uplighters, discos, karaokes. 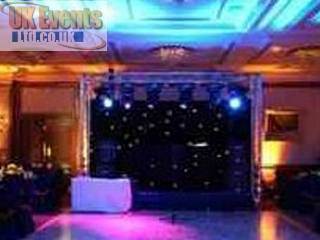 LED room lighting, PA systems and starcloth backdrops to the Blackburn area. 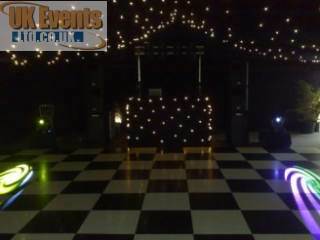 We have a new range of extra bright starlit LED dance floors now available to hire. 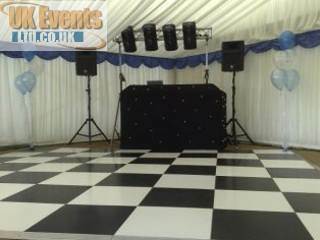 We are now proud to offer LED poseur tables, uplighters, 5ft round banquet tables and colour changing cubes. 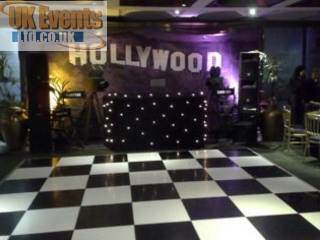 New to our stock we are proud to offer the World's first pink starlit dance floor, an animated cocktail bar and 5ft LED love letters.